If you read my blog often, you won’t be surprised to see cell phone tracking or spy apps are widely discussed and installed for whatever reason. However, every time such an app comes out, it would cause a lot of concerns about privacy. This time, it’s all about an Android based mobile device spy app called Boyfriend Log. 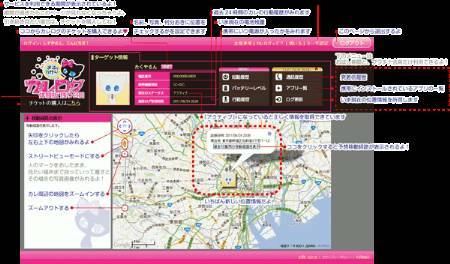 The app, which is developed by a Japanese company, is designed for jealous girls to spy on their boyfriend. Although it’s intended for tracking man by name, but it can be used to spy on woman as well as long as she has an Android device. So if you doubt your spouse is cheating on you, this app is perfect for you to find out the truth. Like many other mobile tracing apps introduced in my blog, it uses cell phone in-built GPS to to get the location data. Once installed, it works in the background so the owner won’t notice it. Then you can sign up to the official website with the ID and password obtained when install it. The website will load a map and show the current location. In addition to location information, it will provide additional data like battery status; apps downloaded and even call log for paid members and Platinum members. You can have a 3-day free trial, and then it costs 525 Yen a month, 840 Yen for 3 months and 1,980 Yen for a year. The Platinum membership costs about 1,980 Yen/month, 4,980 Yen/3 months or 8,980 Yen/year. The app started to sell during August, however protests followed for concern over misuse and it was discontinued. I searched it on Android market, but could not find it. I also visited its official website, and found that the free trial was extended to 30th Sep and the Platinum membership was cancelled. The company also apologized on the website and said would remove the call log service from the app. On 5th Sep, US anti-virus giant MacAfee claimed that they had considered it as questionable since the app expose personal information to third party without the consent of the cell phone owner. There are now many mobile tracing and spying apps out there, most of them are used to locate a cell phone, backup and restore data, perform a remote wipe or lock if the device goes missing. But hardly any of them is designed to spy on a cheating spouse, that’s what differentiates Boyfriend Log from the others which also caused the company lots of trouble. However, if you ever hear of Super Bluetooth hack, you should have known that it has already been achieved long ago for short distance cell phone spying -:).